Nothing can beat the feeling of walking into a real casino, touching the soft felt of a gaming table and looking into the eyes of a living and breathing dealer – right? Well, playing casino games online kind of gets closer and closer to this experience every single day, catering to all of us who are being too lazy to make ourselves presentable in order to place real money bets, or simply lacking time to visit a brick-and-mortar gambling establishment. We want the developers and operators to make us believe we’ve actually made the effort, and create an environment which will replicate the ‘real’ one as closely as possible. 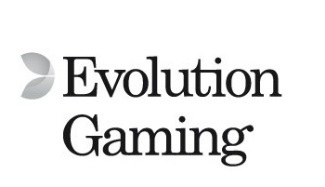 So far, Evolution Gaming has made the best job of all, as recognised by both the industry and gamers alike. A great range of live games is obviously one of the reasons why we like this developer so much. Personally, I’m not that much into Roulette, mainly because somehow I always manage to go bust. However, the luckier ones, and/or more skilled players, will surely appreciate a large selection of games which come with a choice of game views and features such as Chat, Game History, Statistics, Hot and Cold numbers and a personal Favourite Bets menu. Add to that a user-friendly interface and an opportunity for live interaction, and you’ve got a pretty complete package. 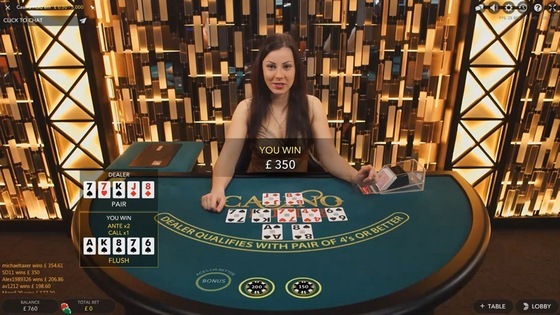 Broadcasted from a studio in Latvia and recognisable by premium red tables, VIP Live Roulette is designed to suit the high rollers by offering £5 to £20,000 betting limits. 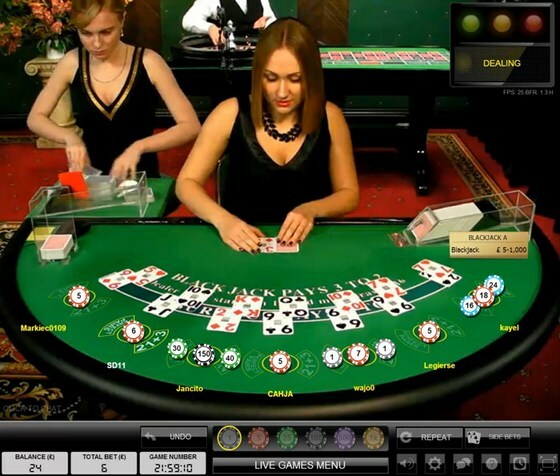 Evolution Immersive Roulette provides a cinematic gaming experience delivered with the help of different camera views and 200 frames-per-second HD video with a slow-motion replay of the winning numbers. Live Double Ball Roulette uses two balls in every single spin and provides payouts of up to 1,300:1. Granted, both balls need to end up in the same slot and it has to be the number you’ve wagered on, but still. I particularly like the innovative Dual Play Roulette which allows online gamers and those playing in a land-based casino to share the same table. Mini Live Roulette is a mini-window variant of the European game allowing you to participate in two or more games simultaneously. Slingshot Auto Roulette does not come with a live dealer, but is instead powered by a fully automated Roulette wheel delivering 60 to 80 games per hour, 24 hours a day. Speed Roulette is a super-fast version of the game with rounds that last only 25 seconds, which is about half of the standard duration, while betting happens only during the spins. Localised service is offered via London Roulette, Venezia Roulette, Deutsches Roulette and Svensk Roulette. Those of us who prefer card games get to pick among feature-full Blackjack, Poker and Baccarat varieties. Standard Blackjack sits 7 players and offers Pre-Decision, 21+3 and Perfect Pairs Side Bets, and Bet Behind option (useful when all seats happen to be occupied). Blackjack Party is a fun low-stakes variant hosted by a dealer and a co-presenter. While an unlimited number of gamers can bet behind, those seated at the table also get to place side bets and make their decision to Hit, Stand, Double Down or Split without having to wait their turn (Pre-decision). 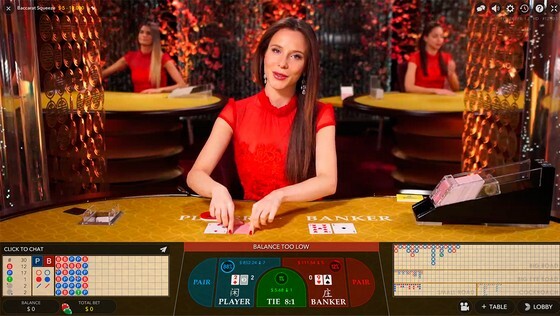 An authentic experience of the “Asia’s most popular casino table game” is delivered via standard and VIP Baccarat tables, and multi-camera Live Baccarat Squeeze and Live Control Squeeze. 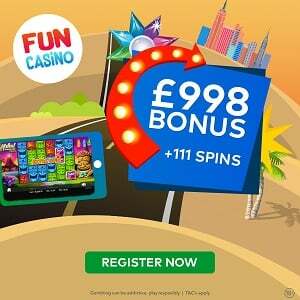 Features include special bets such as Player Bonus, Banker Bonus, Either Pair and Perfect Pair, as well as the ability to see your competitors’ moves. Live Speed Baccarat is the super-fast alternative, kind of like the above mentioned Roulette variant, with game round lasting 27 seconds instead of the usual 48. Finally, we also get to enjoy a good variety of live Poker games. Three Card Poker offers Ante Bonus which pays for achieving a Straight or better, Pair Plus Bonus Bet, and Six Card Bonus Bet with the goal of making the best five-card hand by combining your three cards and the dealer’s three cards. Other Poker games available are Casino Hold’em and Ultimate Texas Hold’em, the latter with a Trips Bonus Bet which is won by the best five-card hand formed by your own two cards and three of the community cards. Live Dream Catcher comes with a Lucky Wheel and invites you to bet on one of the numbers it contains, while 2x or 7x bonus spin multipliers offer potential mega payouts. Obviously, dealers play a crucial role when you’re participating in a live game, and this is where Evolution performs equally well. Ladies and gentlemen facing you across the table are well-trained professionals and native speakers who are able to build a good relationship with the player and make the experience truly unique. The same is achieved by a fast-loading and intuitive interface, coupled with advanced streaming technology which does not even require an optimal connection speed. Fully optimised mobile solutions allow you to enjoy live games just as much via an iPhone, iPad or Android mobile device. 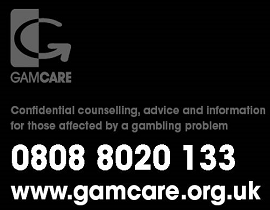 All this without having to think twice about safety and fair play, thanks to licenses issued by the Alderney Gambling Control Commission, Malta Gaming Authority and the UK Gambling Commission. You love what you’ve learned so far? I’m not surprised! Among quite a few online gaming venues which host Evolution live games, I recommend you try them out at Leo Vegas, 888 Casino, Mr Green or BetWay.